﻿ Best rates available for low, high and peak season packed with world class facilities and services. 2019 SPECIALS NOW ON SALE!!! - Free shuttle service in and around Seminyak area. - Extra beds can be provided at AUD $25 per bed per night. - Exclusive services of our reliable and safe onsite drivers and transport for excursion anywhere on the Island. Special FREE NIGHTS are valid for 1/2/3 and 4 Bedroom Villas subject to availability. 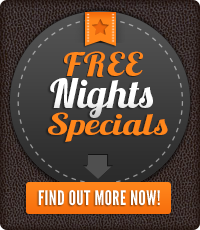 All FREE Night specials require deposit of equivalent to 1 Night is due at time of booking and balance to be paid at least 4 weeks prior to arrival. These specials can be withdrawn from sale without any prior notice given. ** Prices from and are strictly subject to availability until sold out.